It would appear that Nitin Nohria has had a change of heart, as in 2015 Harvard launched a digital learning platform in the hope of fundamentally transforming online education. HBX was billed by some to be a snapshot of the future of business education, which is increasingly becoming digitized. “Other schools and online providers were putting up content online and getting significant registrations, which spurred some thinking from us,” says Patrick Mullane, the executive director of HBX. The flagship offering is CORe—an 11-week digital course made up of economics, business analytics, and financial accounting modules. It targets young professionals with liberal arts backgrounds who hope to enter the ranks of management or get one of Harvard’s pricey MBA degrees, in addition to “life-long learners” who have already completed a graduate qualification. HBX is different from competitors in the market place—including the providers of MOOCs such as edX and Coursera—in part because of the technology it uses. 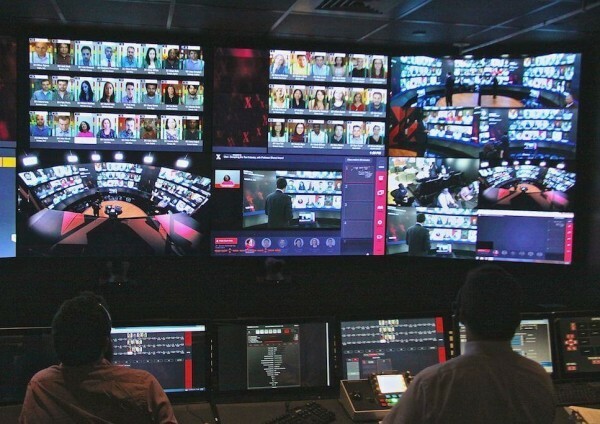 A “virtual classroom” of 60-odd screens known as 'HBX Live' makes the learning experience much more interactive than earlier forms of digital education, which was sometimes regarded as second-rate. The bulk of students, however, use the 'Course' platform which is asynchronous—students do not have to study at the same time, providing convenience for the many working professionals who use HBX. Students who complete the course are awarded a certificate that carries some weight with corporations, with students using it to enhance their CVs or LinkedIn profiles. “Many people see this as a way to burnish their CV and make themselves more employable,” Patrick says. HBX does not release employment data, but cites a study as evidence of the value of its platform to employers. A global IT consulting firm that enrolled 200 employees in CORe found, after tracking the participants against a control peer group for 21 months, they were much more likely to be classified as high-performers, take on new responsibility and work on international assignments. Priced at under $2,000 and theoretically accessible to anyone with an internet connection, CORe is also one way to make a Harvard education available to a wider population—the acceptance rate for its MBA is under 10%. There is growing demand for the HBX CORe product and the platform has served overall some 33-34,000 students. Comparatively only around 900 people enter Harvard’s MBA cohort each year. “It’s fair to say CORe is much more accessible from an admissions and geographical standpoint,” says Patrick. $ 2.000 per course is too much . Cost is only $ 100. But Harvard name has value . Therefore let it be $ 1.000 per course . If you do not Chinese will come with their 100 million online students in Business + engineering and science . I wonder if a Harvard will be around. I know it is very pessimistic view . But please think about it . Harvard in a way is the higest authority regarding business in USA . Please watch Chinese carefully . They will conquer the world within 10 years . Solution is " MORE EDUCATED PEOPLE IN THE USA , BUSINESS+ENGİNEERİNG "
Tuition collected from 900 fultime MBA 900 x $ 100.000 = $ 90.000.000 per year. That means it can be $ 1.000 per course very easily . Think about it .